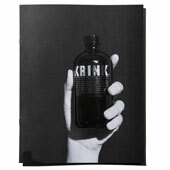 Krink K-63 Ink Marker BlackSuper Black alcohol-based ink is permanent and opaque. High quality ink works on most surfaces. 2oz/60ml capacity. Excellent for use on glass, metal, coated paper, and painted surfaces. 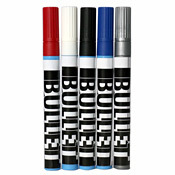 15mm round tip is best for smooth surfaces. Handmade in the USA. Conforms to ASTM D-4236. Prop 65 compliant. Warning: Flammable and may cause irritation. Keep away from children. Super Black alcohol-based ink is permanent and opaque. High quality ink works on most surfaces. 2oz/60ml capacity. Excellent for use on glass, metal, coated paper, and painted surfaces. 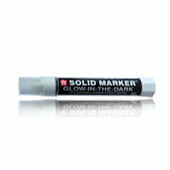 15mm round tip is best for smooth surfaces. Handmade in the USA. Conforms to ASTM D-4236. Prop 65 compliant. Warning: Flammable and may cause irritation. Keep away from children. This product was added to our catalog on Friday September 22, 2017.